Planning to have a swimming pool constructed at home? 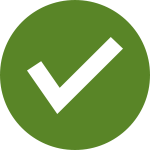 Aside from having clear water, safety should be on top of your checklist before you have a pool installed at your place. 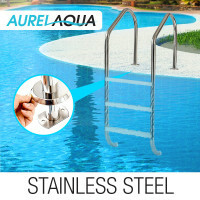 To help you with this, Aurelaqua has unveiled two durable and sturdy in ground swimming pool ladders for your need. Featuring an industrial-strength stainless-steel design, Auerlaqua Swimming Pool Ladders will definitely address your safety concern. With the ladders’ non-slip steps and sturdy handrails, you can sit tight and relax knowing that your family and guests have safe entry and exit passage to your pool. In addition to these, Aurelaqua Swimming Pool Ladders are made from high quality strong materials allowing them to hold weights as much as 110 kg. Enjoy safe swims in style! Designed to fit all standard rectangular pools, the in-ground pool ladders have stylish screw covers that can surely add a modern flair to your pool. Moreover, no further professional help is needed when adding the ladders. Aurelaqua ensures that both ladders are easy to be mounted even by homeowners like you. Have the perfect outdoor time with your family and friends. Mytopia store features high quality Inflatable Spas that you can easily place near your pool. Offered in coffee and black, these portable spas are lightweight and would add style to your backyard. Ultimate for spa and pool care, Mytopia provides a line of lightweight Swimming Pool Cleaners that are suited both for above-ground and inground pools and designed to remove dirt from concrete, tile, pebblecrete and other types of surface. Always have clean water when you go for a swim. Choose from any of our solar Swimming Pool Covers. Suited for Australian climate, these are guaranteed to prevent water evaporation by over 99%. Have an enjoyable and memorable swimming pool experience at the comfort of your own home. Order any of these products today!